I strongly believe that labeling the condition of the stock market based on arbitrary “percentage changes” up or down is absurd. But then again most attributes of the current stock market are sublimely ridiculous, if not outright Orwellian. But, what the heck. If down 20% is how you want to define a “bear market,” then a portfolio of Lennar (LEN, down 24%), Beazer (BZH, down 24%) and KB Homes (KBH, down 22%) are in definitive bear markets and heading lower, as are several other homebuilder stocks. This is a fact that intentionally goes unreported by Wall Street and Wall Street’s hand-puppet, the mainstream financial media (CNBC, Fox Biz, Bloomberg, Wall St Journal, Marketwatch, etc). Homebuilders maliciously exploit a GAAP loophole that enables them to remove “interest expense” from the SEC-filed income statement. This artificially boosts reported GAAP and non-GAAP net income/earnings per share. I review this using Beazer as an example in the last issue of the Short Seller’s Journal. The nature of the “bull market” in housing is widely misunderstood. As such, the easiest area of the market to make money shorting stocks is the homebuilding sector. I can say with certainty that 80% of the money I’m making shorting stocks is with homebuilder puts. It’s a boring sector but the percentages moves in these stocks makes it easy to “scalp” profits and to set-up low risk, highly profitable long term short positions. Right now homebuilders are behaving like an ATM machine for short-sellers. 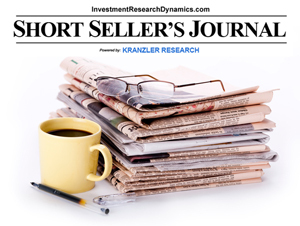 The Short Seller’s Journal is a unique weekly newsletter that provides truth-seeking insight on the economy and presents ideas for making money shorting stocks (including put option and capital management strategies). 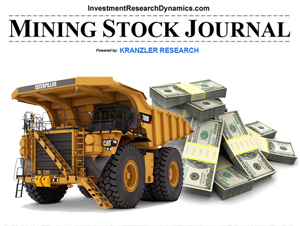 Learn how to use the homebuilders as your own ATM here: Short Seller’s Journal. In many areas of the country prices are already down 5-10%. I know, you’re going to say that offer prices are not reflecting that. But talk to the developers of NYC and SF condos who are trying to unload growing inventory. Douglas Elliman did a study of NYC resales released in October and found that resale volume was down 20% in the third quarter vs. Q3 2015. A report out in November published by Housing Wire said that home sales volume in the SF Bay area fell 10.3% in the first 9 months of 2016 vs. 2015. Price follows volume and inventory is piling up. NYC led the popping of the big housing bubble. It will this time too. Prices in the “famed” Hampton resort area down 20% on average and some case down as much as 50% from unrealistic offering prices. Delinquencies and defaults are rising as well. While the mainstream media reported that foreclosures hit a post-crisis low in October, not reported by the mainstream media is that delinquencies, defaults and foreclosure starts are spiking up. Foreclosure starts in Colorado were up 65% from September to October. Housing starts for November were reported today to have crashed 18.7% from October led by a 44% collapse in multi-family starts. No surprise there. Denver, one of the hottest marekts in the country over the last few years with 11k people per month moving here, is experiencing a massive pile-up in new building apartment inventory. I got a flyer in the mail last week advertising a new luxury building offering 2 months free rent and free parking plus some other incentives. Readers and subscribers from all over the country are reporting similar conditions in their market. Yes, I know some small pockets around the country may still be “hot,” but if you live in one of those areas email me with what you are seeing by June. Note the crash in housing stocks a few months after homebuilder “sentiment” index peaked. From a fundamental standpoint, the homebuilders are more overvalued now than they were in 2005 in terms of enterprise value to unit sales. This because debt and inventory levels at just about every major homebuilder is as high or higher now than it was in 2005 BUT unit sales volume is roughly 50% of the volume at the 2005 peak. 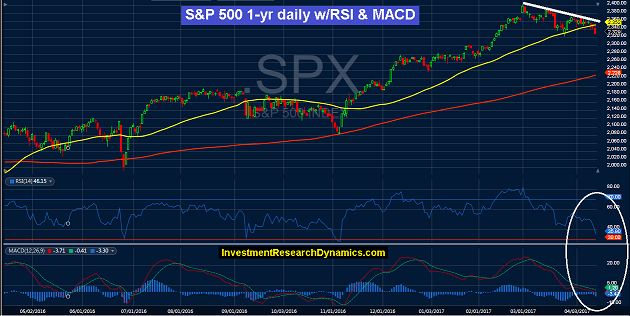 The equities are set up of another spectacular sell-off. Refi and purchase mortgage applications are getting crushed with mortgage rates up only 1% from the all-time lows. 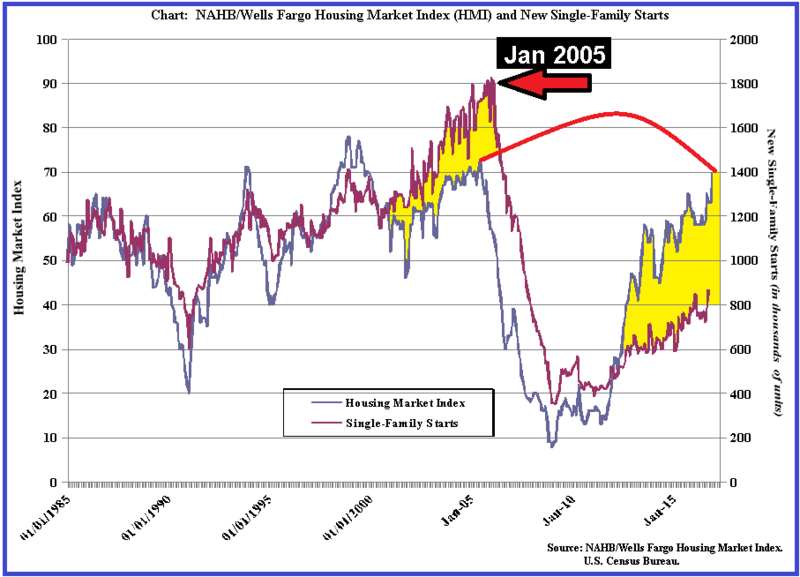 What will happen when mortgage rates “normalize” – i.e. blow out another 3-5%? The next issue of the Short Seller’s Journal will include a lot more detail on the housing market and some surprisingly bearish numbers on retail sales this holiday season to date. You can find out more about the SSJ by clicking on this link: Short Seller’s Journal subscription link. 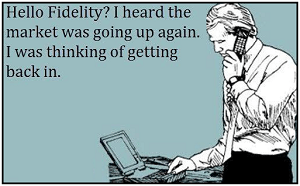 Technically, the move in the stock market that began in March 2009, when the stock market bottomed after the 2008 financial market de facto collapse, should not be termed a “bull market” because it required several trillions of Central Bank and Government intervention to move the stock market. Definitionally the stock market is no longer a “market” – rather it’s an intervention. As the graph above illustrates, the NYSE Composite index – every stock that trades on NYSE – is down close to 6% since May 2015. The NYSE Comp is more representative of the stock and more reflective of the deteriorating conditions in the economy than are the SPX and Dow, which are used as propaganda tools by the financial market and political elitists. The point here is that economic reality is diverging from the propaganda infused message that the Fed, Wall Street and politicians want us to buy into. The housing market illustrates this perfectly. I have been detailing in my blog the methodology by which the Government manipulates the new home sales statistics. This morning it was reported that housing starts for September plunged 9% from August. Of course the media puts its propaganda spin on this. For instance, Bloomberg attributes the drop to multifamily starts. But multifamily starts is the metric that gave the housing starts report any “legs” to begin with. Marketwatch references a “durable recovery.” But does this look like a durable recovery? New single family home sales – despite the trillions of dollars infused into the housing market by the Federal Reserve and Government – never got any higher than where they were in 2008 after the housing bubble popped and sales had already dropped by 66%. Before that, the last time single family home sales were at Marketwatch’s “durable recovery” level was in 1995! And in truth the methodology used by the Government to present new home sales (Seasonally adjusted annualized rate based on highly questionable Census Bureau data collecting) grossly overstates the true level of new home sales at any given time. The same can be said for the NAR’s existing home sales. Like everything else in our system, the housing market activity is primarily a product of the propaganda and not real economic activity. The point here is that underlying economy is far weaker than the propaganda coming from the elitists would have us believe. They can stimulate fraud and deception all they want but ultimately they can not force a shrinking middle class with rapidly shrinking disposable income from spending money. 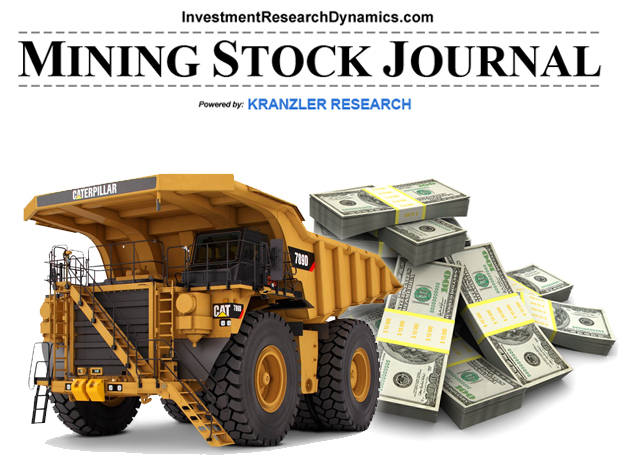 Every week I provide proprietary insight into the economy and markets in the Short Seller’s Journal. I also highlight at least two or three short-sell ideas. Most of these ideas have been working now since early August (late Fed to late July was rough). As an example, in the September 18th issue I presented Credit Acceptance Corp, a subprime auto loan finance company with a balance sheet that is a ticking time bomb, with the stock at $198.60. It’s trading today at $183 – down 7.8% in less than 4 weeks – despite a largely flat SPX in that timeframe. CACC will eventually be cut in half from here, at least. SSJ is a monthly subscription that is published weekly. 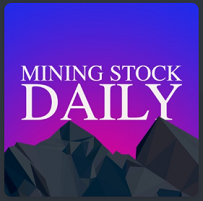 I also provide some ideas for using puts if you are not comfortable shorting stocks and I also disclose when I participate in the ideas in my own account. You can cancel at any time – there is no minimum commitment. You can access more information on the subscription here: Short Seller’s Journal. It’s happening everywhere, not just in Denver. The “for sale” signs are piling up at the wrong time of year for people to be listing their homes and the “price reduced” signs tell us the sellers are chasing prices lower. The statistically brewed inventory measurement metric published by the National Association of Realtors has big lag built into it. Especially when the current rate of monthly sales is well below the seasonally adjusted, annualized rate cesspool that vomited out by Larry Yun and his confederacy of statistical dunces. Anyone who bought a home anywhere in the country, except maybe a in a few statistical outlier areas (and those areas will soon catch down to the rest of the market), with a 10% down or less mortgage within the last six months is now underwater, especially when transaction/closing costs are factored in. Most “first-time” buyers have been using 0-3.5% down mortgages. They’re now drowned in mortgage debt. The pundits will blame the housing starts report on a big drop in multi-family unit starts. The the housing starts numbers originally reported in August and September were revised lower. It doesn’t matter. Almost every major city either has a glut of apartment buildings now or will soon. The truth is, single-family unit housing starts have been flat to down all year. One of the best “hidden” indicators that the housing market is now contracting is in mortgage activity. LoanDepot Inc had to pull its IPO late last week – LINK. LoanDepot is part of the non-bank mortgage lender segment of the mortgage industry, which now accounts for 40% of all mortgage dollars originated. There’s a lot of reasons this deal was pulled, but perhaps the biggest one was that LoanDepot’s mortgage volume took a big hit in Q3. When home sales slow down, less mortgages are originated. Pretty simple math. It also suggests that professional investors see the same downturn in housing that I see. Although the dynamics of the current housing market “boom-let” differ from the dynamics of the big housing bubble. What has occurred since 2010 is a Fed/Government stimulated dead-cat bounce in the context of the secular bear market in housing. The policy-makers, urged on by the greedy bankers and housing industry chieftains, never allowed the “cleansing” process from the housing bubble to clear itself out. There’s been plenty of mortgage fraud and subprime activity, but it’s been better disguised over the last couple of years. In the context of the absurdly misinterpreted and highly manipulated housing data released so far this week, the Dow Jones Home Construction Index is down nearly 3% from its high print earlier this week, despite the fact that the S&P 500 and the Dow are up close to 2% this week. The nation’s third largest new homebuilder, PulteGroup, is down 9% from its high-tick earlier this week, after reporting at 6% year over year decline in unit home closings (deliveries). In fact, despite the ebulliently presented headlines, single-family housing starts showed a definitive, statistically significant decline for September from August. This is the metric that, if it even had any relevance, would pertain to the extreme overvaluation of the homebuilder sector. While it’s extremely difficult to short anything in this market, the homebuilder sector is going to hit a wall of reality that will trigger a big sell-off in the sector. I believe we are seeing the start of that this week. My latest report delivered 9% to those who purchased it when I published it earlier this week – more if anyone played the near-money, October puts. There’s still significant room for this stock to go well below $10 eventually. You can access my report here: Homebuilder Research Reports. Today’s housing starts number for September was highly misleading, as the overall headline result was skewed by a big jump in multi-family units, primarily 2-4 unit buildings. Single-family home starts declined 5% from August to September. It’s the single family unit starts that are relevant to publicly traded homebuilders. Their stocks continue to be more overvalued today than at the peak of the housing bubble. I have a new homebuilder short-sell report posted. I want to share an interesting story about this Company, which further adds to the number of “red flags” I have found buried in this Company’s financials. In late 2013 I wrote an article showing how this Company was managing its earnings per share with share buybacks and inappropriate NOL reversals. Mr. Zeumer sent me an email questioning my math on the effect of the share buybacks and Net Operating Loss reversals. I replied by saying that my math was laid out in detail in the article and that if he was confident that the Company’s math and its use of NOL reversals was appropriate, then he and rest of upper management should take after-tax cash from their bank accounts and buy the stock for their own accounts. I added: “we know that management has been good at selling stock into the Company share buybacks.” Not surprisingly, I never heard back from him after that.